On January 15, 2013, at approximately 1130 hours, Galt Police Officers were called to a burglary in progress at an apartment complex in the 200 block of F Street. Officer Kevin Tonn, age 35, was waived down by a citizen at the complex who had just then spotted a man matching the suspect description walking near railroad tracks in a nearby field. Officer Tonn made contact with the male subject and an altercation ensued. The suspect pulled a handgun from his person and fired one shot, striking and mortally wounding Officer Tonn. A second officer who had just arrived on scene witnessed the shooting, called for assistance, and gave chase. Gunfire was exchanged as a third officer arrived on scene. Neither responding officers were wounded and the suspect then used his handgun to take his own life. 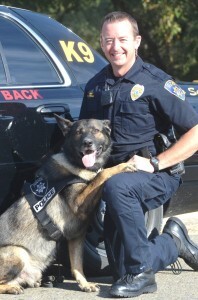 A native of Roseville, CA, Officer Kevin Tonn was a 3 ½ year veteran of Galt Police Department. Prior to his tenure with Galt PD, he served as an MPO in the United States Army. As a civilian he served as an Emergency Medical Technician, a firefighter and fire inspector, before returning to law enforcement.